What do you tell your children when they ask you what happens when a person dies? Probably not the same thing I told mine. Well… not quite the Father’s Day I had prepared for from an advocate perspective. I had a post about half written that I had planned on finishing yesterday, and I had some ideas from a sharing perspective as well… all of that got placed on the back burner though. 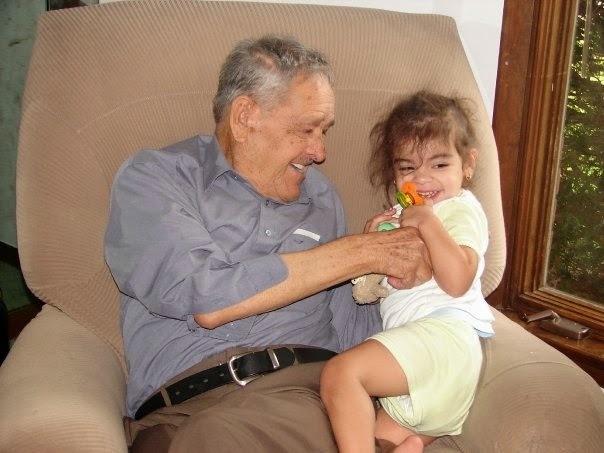 The patriarch of my wife’s family, Bianca’s abuelito and hero passed away Saturday at the age of 92. He was my wife’s everything. I always say that I am the third most important man in my wife’s life… her dad, our son and then me. And I am fine with that. My wife is the youngest of 6 and is the only girl. She is 13 years younger than her next sibling, so growing up she was aware that her dad (who was 55 when he had her) was older. Before we married my wife was fearful that her dad would never live to meet her kids. He met, and created memories with all three. My father-in-law, a Type II diabetic for 30 years, LOVED sweets… especially cake. If there was a pastel de tres leches around, that thing was going to disappear. His love for sweets would have been a problem for him except that the rest of his diet was so strict, regimented and healthy that he did not become insulin dependent until the age of 86 or so. There was more than one occasion that I would stop by and find him lying on the floor doing his bicycle kicks to stay in shape. He was an amazing guy… who loved sweets. We tried to control his appetite for sweets, but he had help from the inside. My daughter Sofie and abuelito were partners in crime. They were like peas and carrots. Sofie loved him, followed him, mimicked him and would cuddle up to and sleep on him or with him whenever she could. She never ran out of hugs and kisses for her abuelito. She also never stopped pocketing sweets for him and handing them off to him on the sly. At the wedding of one of my niece’s, he had Sofie go table to table and pocket all of the candy favors. He also had her hit the candy bar and slip him a bowl of M&M’s or whatever she could commandeer from the table. It was with that spirit in mind that my wife lit up and laughed. 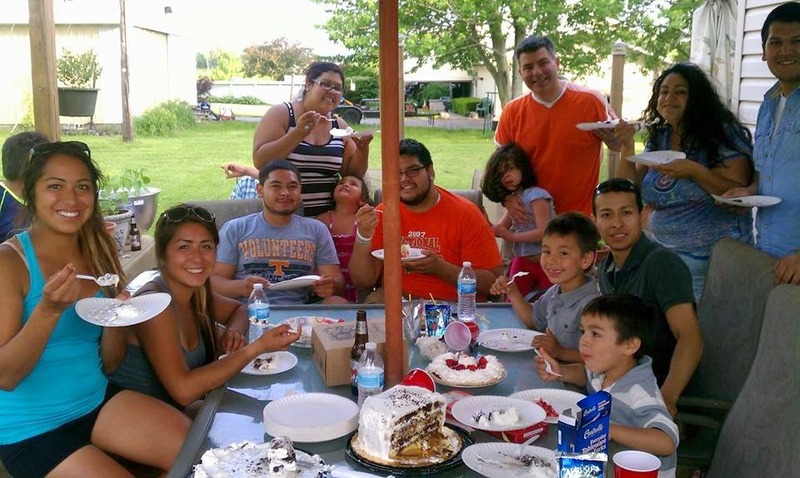 She shared my cake idea on Facebook and quickly another member of the family (also finding it hard to be “up” this Father’s Day with abuelito’s passing) was all for it and invited the family over for burgers, hot dogs and of course… cake. And that is how we spent this Father’s Day. Exactly the way abuelito would have loved to celebrate with us… family, laughter, spoiling the kids… and cake. We will miss you Jose Madrigal, AKA “Don Pepe” “El Mero Mero” “Abuelito”… or to my wife… “dad”. When you walked your youngest child and only daughter down the aisle at my wedding, you turned to me took my hand in yours and placed your other hand on my shoulder. In a very thick accent you told me, “This… this is for life”. I nodded and told you that I agreed. The nearly 60 years you were with my mother-in-law serve as an example of compromise, friendship, determination, love and forgiveness. I thank you for teaching me first-hand what it takes to love a wife and a daughter. I only hope that I can equal the amount of love and dedication you had towards both. The Einstein of our time, the Henry Ford of our time, a true genius of our time ….